History and scenic beauty truly do come together where the Shenandoah and Potomac Rivers meet in Harpers Ferry, West Virginia! It’s the perfect area for a weekend getaway or day excursion as my husband, Paul and I discovered on our recent visit there. The town of Harpers Ferry sits on an area of land that is at the eastern-most point of West Virginia and is bordered by the Potomac River on one side and the Shenandoah River on the other. These two beautiful rivers make it a favorite spot for rafting, canoeing, tubing and fishing. In addition to water sports, it’s also a popular area for mountain biking and rock climbing. For enthusiastic hikers, the Appalachian Trail passes right through the heart of town. Many people with names you will recognize spent time in Harpers Ferry. In 1803 the boat that would carry Lewis and Clark on their historic expedition to the Pacific Ocean was built here. Merriweather Lewis spent a great deal of time here monitoring the building of it. Thomas Jefferson stood upon a rock high on a mountainside overlooking the rivers in 1783 and declared this site was “perhaps one of the most stupendous scenes in nature” and that the view “was worth a voyage across the Atlantic”. That famous rock is called Jefferson Rock and receives countless visitors every year. George Washington first visited the area at the age of 17 while on a surveying expedition and later, it was at his encouragement that the United States Armory and Arsenal was built here. These are just to name a few of the many famous visitors the area has received throughout history. Beautiful views from Jefferson Rock! 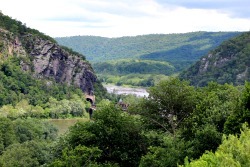 Harpers Ferry is probably best known for John Brown’s raid which took place in 1859. Some say that this raid was the first shot that led to the Civil War. It was on this night that John Brown and seventeen others attempted to seize the federal armory and arsenal to liberate slaves and end slavery in the United States. The raid failed and he and his followers were tried and executed for treason. The years of the Civil War that followed were devastating to Harpers Ferry. It was the site of three major battles and changed hands several times during the war. The town of Harpers Ferry is now surrounded by the Harpers Ferry National Historical Park and it has evolved into a quaint living history village. Park employees dress in period clothing and provide narrated tours for visitors. Rather than a walking tour, you may choose to take a ride in a wagon pulled by draft horses while your driver and guide provide details on the history of the area. Building John Brown was captured in, visitors getting ready for a guided park tour, and a horse drawn wagon tour. If you like to include a little shopping with your sightseeing and history, you will not be disappointed! There are several shops providing an eclectic blend of jewelry, gift items, clothing, antiques and more. One of my favorites is The Vintage Lady with her unique selection of jewelry and clothing items. There is even a shop for man’s best friend! When you visit be sure and wear your walking shoes because you will get your exercise! The town lies on a steep hill that falls away to the meeting of the rivers. And the climb to Jefferson Rock is not for the faint of heart! 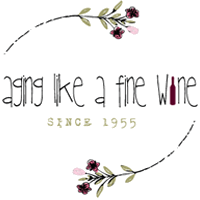 Once you have satisfactorily worked up an appetite there are several small locally owned eating establishments where your thirst can be quenched and your appetite satisfied. And if you like to take your four legged family member along, as we do, the restaurants are dog friendly in their outside sitting areas. We ate at the Coach House Grill n’Bar and the staff welcomed our collie, Gunnar and promptly provided him with a cool bowl of water. As far as places to stay, there’s plenty of those too. Local bed and breakfasts include the Jackson Rose, The Angler’s Inn, Laurel Lodge and Camp Hill just to name a few. If bed and breakfasts are not your cup of tea, there are some local motels as well. 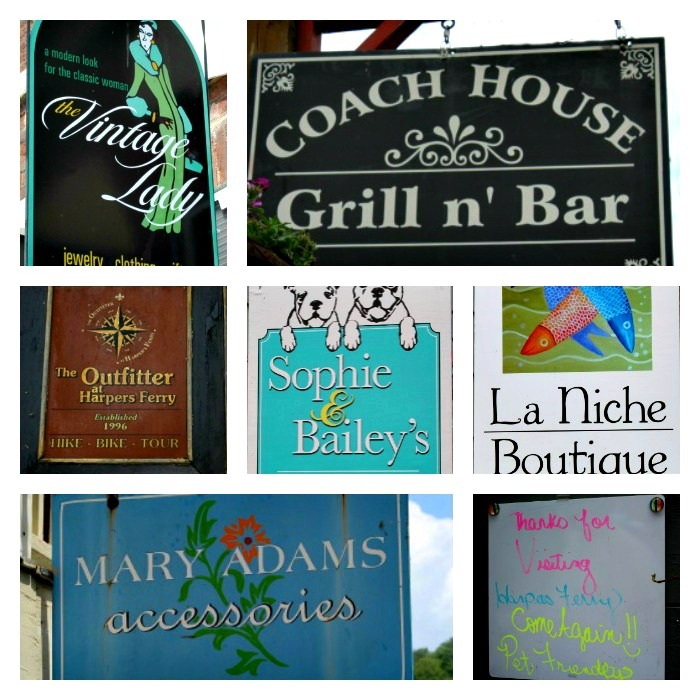 Should none of these suit your fancy, the community of Charles Town is only seven miles away. Charles town is named after George Washington’s youngest brother, Charles who resided here in the 1780’s and was visited frequently by President Washington. The family home, Happy Retreat, still stands and is in the process of being purchased and restored. For those of you who aren’t too tired after your day of traversing the hills of Harpers Ferry, Charles Town offers an active night life at the Hollywood Race Track and Casino. Taking in all of the scenic beauty while learning about the areas history made it a fun and memorable trip for us. If you should happen to be in the area it would be well worth your time to visit Harpers Ferry!